Multi-Clean's line of Eco-Preferred Cleaning Products can help anyone interested in cleaning for health and safety. Using the Environmentally Preferable Products from this list can help facilities earn points towards LEED-EB certification. The products listed in the catalog below are all high performance products designed for facilities that have implemented or are interested in "Green Cleaning" programs. 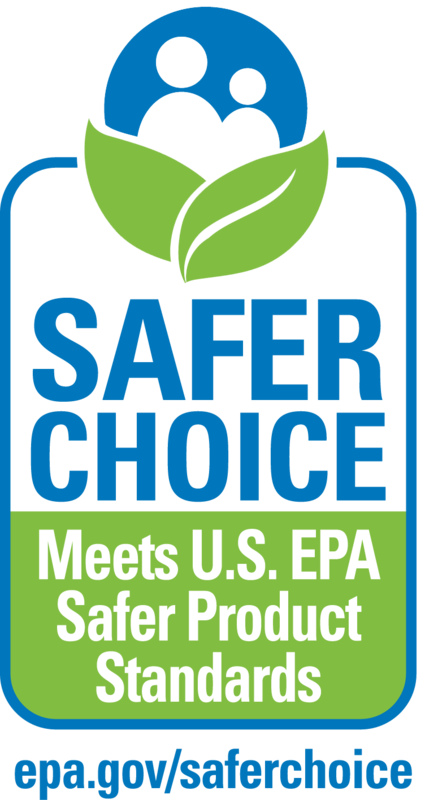 Formulated in partnership with the Safer Choice Program, designated products have been screened to insure there is minimal human health and environmental impact. These products adhere to Multi-Clean’s internal evaluation of strict criteria in order to have minimal human health and environmental impact. Using the Eco-Preferred line can help facilities earn points toward LEED-EB certification. This product meets Green Seal® Standard GS-37, GS-40 or GS-41A based on effective performance and protective limits on VOCs and human & environmental toxicity. GS-37-certified products also met criteria for concentrated volume and minimized/recycled packaging. GreenSeal.org. View our Green Seal certificates.